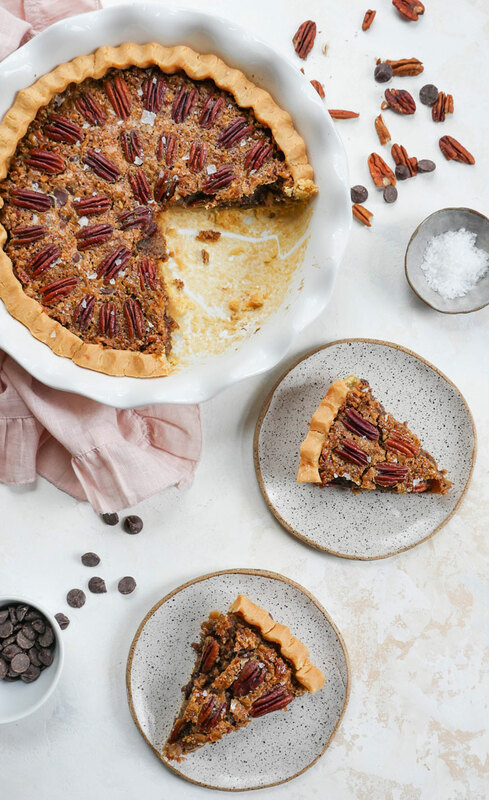 This ooey gooey chocolate pecan pie is going to be the star of your holiday dessert table this season! And guess what? 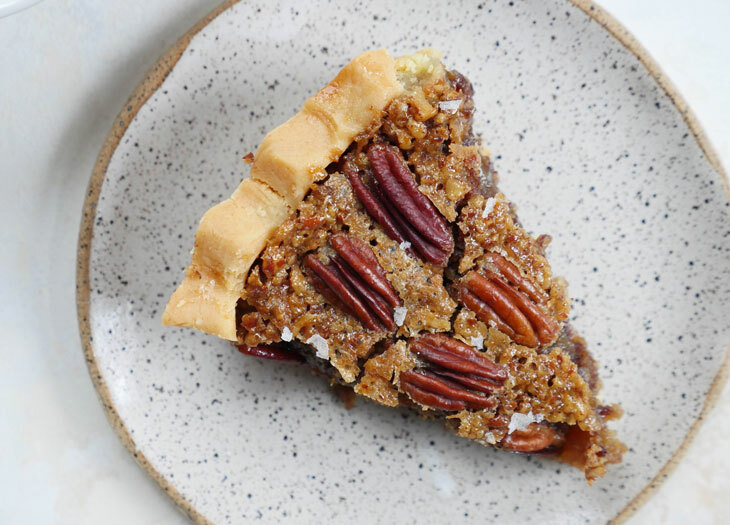 This pecan pie is definitely those two things. Excuse me, I mean, this chocolate pecan pie. Because why make a pecan pie without the chocolate? I mean, this picture here is proof of number 1 – you can just tell it’s going to be a darn good piece of pie. This is the pie for those of you intimated by making pie. 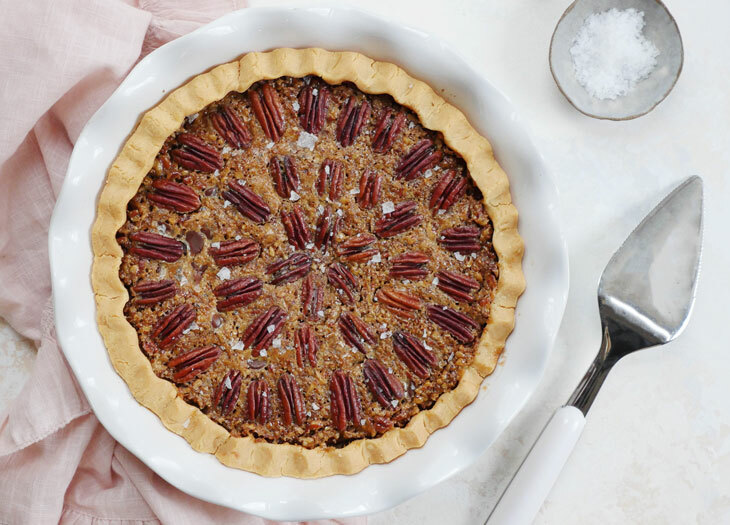 I promise you, this pecan pie is a really simple recipe. 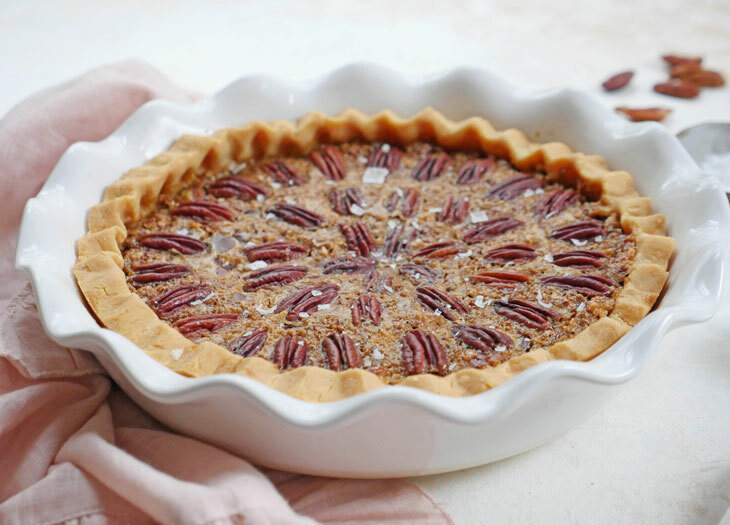 The pecan pie filling is a cinch to make and the crust is super easy too! 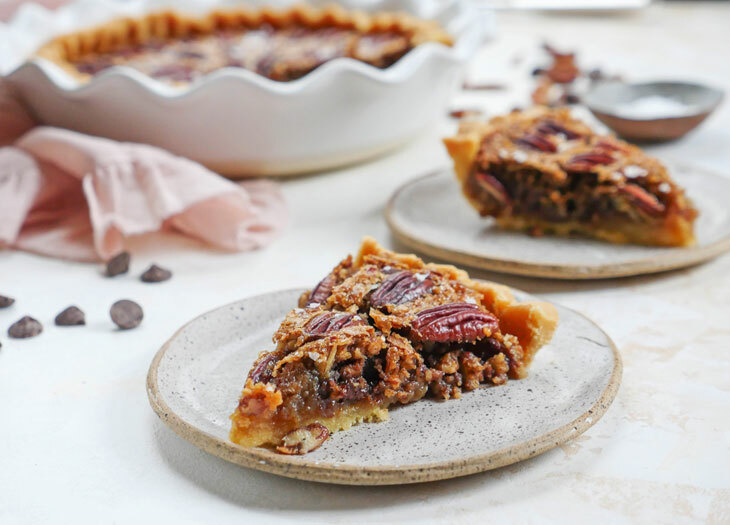 You can use any crust that you’d like with this recipe but I highly suggest my flaky grain free and nut free paleo pie crust – it’s the perfect crust for this pecan pie and so simple to make too! No need to roll out any dough, just make the crust in a food processor and press it into a pie pan. I’ve also made this pecan pie using the frozen gluten free pie crusts from Trader Joe’s and those are great too. 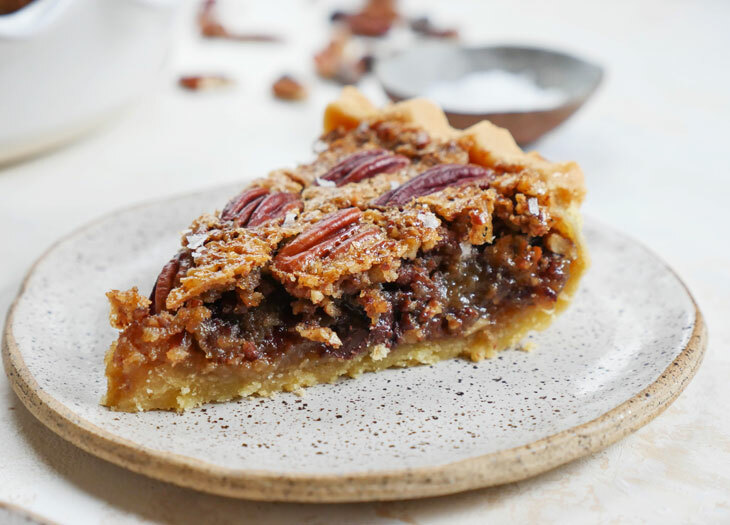 It’s true, there’s no corn syrup in this pecan pie recipe but trust me when I say that this pie is still incredibly decadent. You won’t miss a thing. Rather than use corn syrup, my recipe calls for a combination of maple syrup and brown sugar (or coconut sugar if you want to keep things paleo-friendly). There’s also plenty of butter, pecans and chocolate chips! And we can’t forget the vanilla extract – it adds great flavor and aroma. I made this chocolate pecan pie during a Friendsgiving party and it went faster than pumpkin pie, which I think is pretty telling. It’s also a hit with my family! I can’t wait to hear what you and your friends/family think of this chocolate pecan pie!